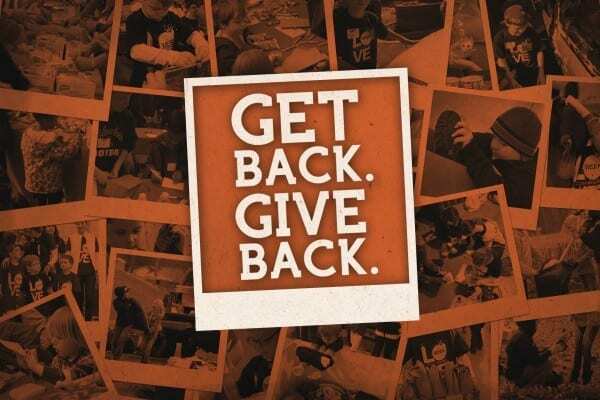 This weekend in eKidz was about GETting BACK to church and GIVing BACK to our community. All of eKidz worked on projects that benefited A Child’s Place, one of our Elevation Outreach partners. A Child’s Place is a Charlotte organization that works to erase the impact of homelessness on children and their education. We are so proud of how hard all our eKidz worked and we know God will use their efforts to bless the kids and families from A Child’s Place. Giving back is a great way to start off the new year – check out how your child served their community! During small group, Motion kids made hygiene kits that included a toothbrush, toothpaste, washcloth, and deodorant, lotion, or shampoo. Kids had a powerful time of prayer for each hygiene kit they made and were able to pray for the kids who will receive the bags that God would use the hygiene kit to meet a need they have and to remind them that God loves them very much. Main Point: I Will Show Love to Others! Our Quest kids not only learned what it means to show love to others, they did show love to others! We learned the Bible story of the sheep and goats and how the people called “sheep” where always showing love to the King by giving him something to eat, something to drink, and clothes to wear. Like the sheep group, Quest kids assembled snack packs for A Child’s Place. Each snack pack bag was decorated by kids and inside was placed a juice box, granola bar, crackers, and fruit cup. On the outside of the bag kids put a “Jesus Loves You” sticker. Snack packs are used by A Child’s Place to provided children a nutritious snack while outside of school. Outreach Focus: God wants me to love others! Toddlers learned the Samaritan man showed love by helping the man who was hurt and we can show love by helping people too! Toddlers showed love by making a Valentine’s Day placemat for someone. Place mats will be distributed on February 14 to A Child’s Place staff, volunteers, and to use during the Lunch Buddy program.